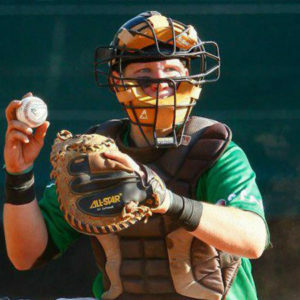 Any catcher, who has ever suffered from a “catcher’s thumb” will be glad to know that there is a solution. What has been exclusive to mlb players and a few lucky ones, is now available to everyone! Ships within 14 days to the USA, within Europa usually faster. 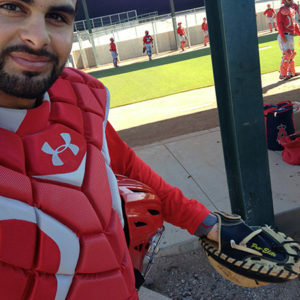 The Catcher’s Thumb Protector is a splint, that keeps your thumb from hyperextending, which is what causes pain when catching. It works as a prevention as well as on an already sore thumb. 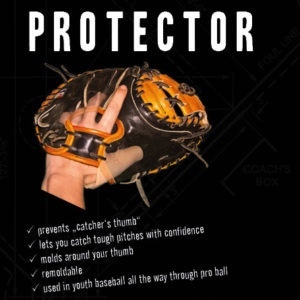 No matter if you have just jammed your thumb or you are worried that you might catch a tough pitch wrong – with the Catcher’s thumb protecor you can catch every pitch with confidence! The Catcher’s Thumb Protector can be reheated and reshaped many times, so you don’t have to worry about messing up the first time. You can play around, so you can get it just right for you! It is used by youth players, recreational players, college players and professional players from Austria, Germany, Mexico and the United States. 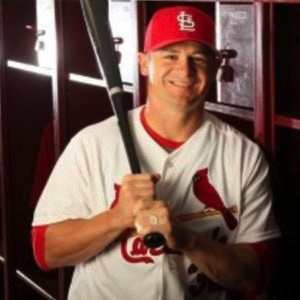 Our most famous customer is former major leaguer Rob Johnson who now owns Clutch Athletics.